Highlighting the Doklam standoff as its major achievement of international cooperation this year, the Chinese military said on Thursday India should ‘strictly control’ its troops and implement border agreements to maintain peace and stability along the border, according to an agency report fro Beijing. Chinese defence spokesperson Col Ren Guoqiang said the highlights of his country’s international military cooperation in 2017 included handling ‘hotspot issues’ such as Doklam. This year, under the unified deployment, the military has ‘resolutely’ safeguarded China’s sovereignty and security interests, Col Ren told media in Beijing, the report stated. “The Chinese military has played its due role in the handling of the hotspot issues such as the Sino-Indian confrontation in the Donglang (Doklam) area and safeguarded the China’s rights and interests in the South China Sea,” he said. The Doklam standoff began on June 16 after the People’s Liberation Army (PLA) began building a road in area claimed by Bhutan. The Indian troops intervened to stop the road as it posed a security risk to Chicken Neck, the narrow corridor connecting India with its north-eastern states. 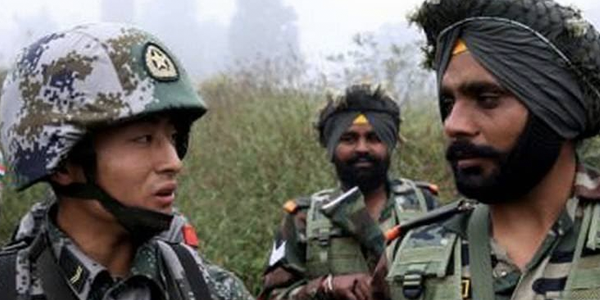 When asked how Chinese military view its relations with its Indian counterpart in 2018 in the backdrop of the Doklam standoff, Col Ren said India should implement the border agreements and control its troops, the report quoted. “We hope the Indian side can earnestly implement the relevant agreements reached between the two sides on the border issue and strictly control its border defence troops and do more for the positive development of China-India military-to-military relationship,” he said. During the border talks, the first since the 73-day-long military standoff in Doklam, in Delhi on December 22 between National Security Advisor Ajit Doval and Chinese State Councillor Yang Jiechi, both sides stressed the importance of maintaining peace and stability along the border, Ren added. “As far as we know both sides have agreed that it is important to maintain peace stability along India-China border and create favourable conditions for further development of bilateral relationship, which has provided a good environment and good momentum for the continued enhancement of China and India relationship,” he said. “We hope Indian side walk towards the same direction as the Chinese side and both sides can push forward the development of the relationship and jointly maintain the peace and stability along the China-India border which is in the interest of both sides,” he said. “It is our position that India should have learnt lesson from the incident,” he said. On December 7, China had lodged a diplomatic protest with India claiming that an Indian drone has ‘intruded’ into its airspace and crashed in the Sikkim section of the border which included Doklam.